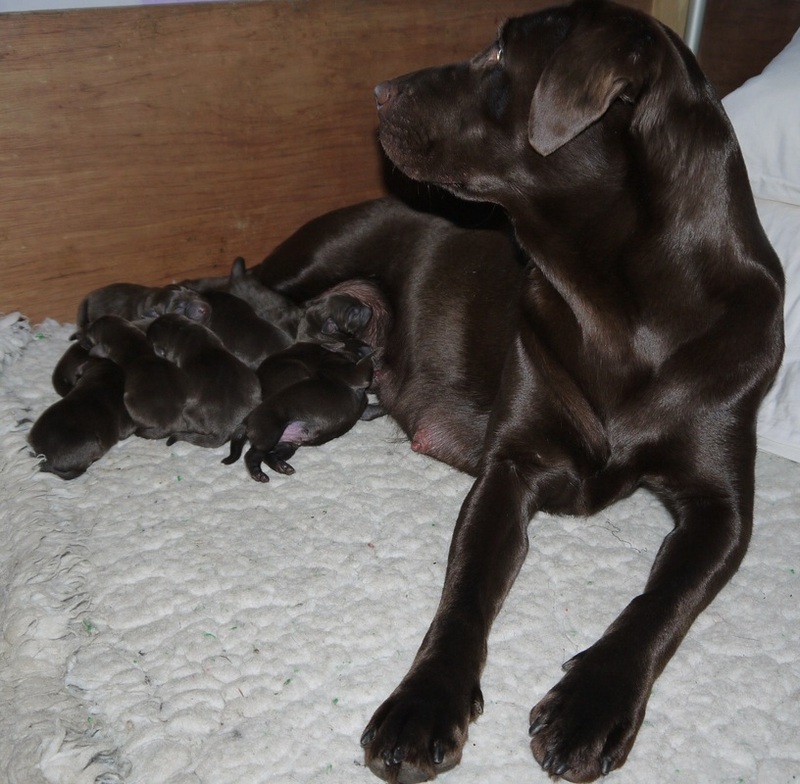 The sire of our beautiful litter of chocolate labrador retrievers off Mia. A lovable and intelligent dog. Works in field trail and is fit and able.